Provides Christian guidance in the area of sexuality for persons with cognitive impairments. 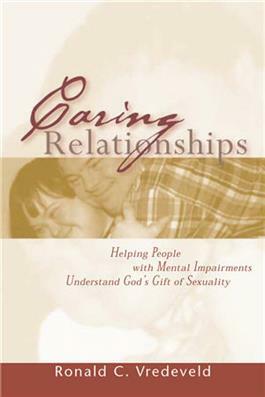 Provides Christian guidance in the area of sexuality for persons with cognitive impairments. The first chapter provides a brief biblical perspective on sexuality and reflects on the dimensionsof caring relationships. The following three chapters focus on sexual abuse, relationships, and marriage. The last chapter provides a model for support that a faith community can use with a married couple who happen to have cognitive impairments.